André Mbata Mangu is Research Professor, Department of Public, Constitutional and International Law, College of Law, University of South Africa Professeur, Faculté de Droit, Université de Kinshasa. 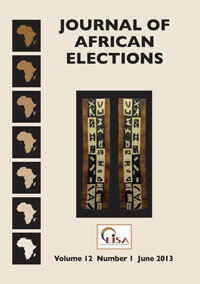 ABSTRACT: Since the beginning of the century elections have been held regularly in several African countries. Unfortunately, these elections have generally failed to comply with regional and sub-regional electoral norms adopted to promote credible and transparent elections and contribute to democratic consolidation. The Democratic Republic of Congo (DRC) is a representative and dramatic case of the region's experience with democracy and multiparty elections. This article reflects on democracy and the 28 November 2011 presidential and parliamentary elections in the DRC. It revisits the concepts of democracy, elections and the rule of law, which are at the heart of this reflection, and the relationship among them. 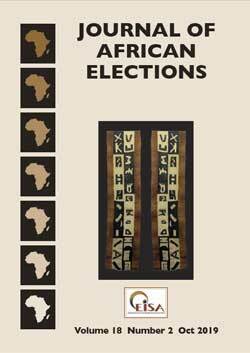 It examines the electoral laws and processes, the social-political and social environment as well as national and international reactions to these elections in the DRC, which is a representative but dramatic case study of Africa's experience with democracy and elections. It then assesses the DRC's compliance with the regional and sub-regional norms and principles governing democratic elections. It concludes that the DRC unfortunately failed to comply and draws some lessons about democratic consolidation in Africa. Timothy B Reid has been involved in peacekeeping for more than 15 years, both in the military (Bosnia, Ethiopia-Eritrea) and as a civilian (Rwanda, Cambodia, the Democratic Republic of Congo, Lebanon and Libya). He has served as a justice and investigations officer for the UN Human Rights Field Operation in Rwanda, as a political affairs officer dealing with armed groups and a team leader for disarmament, demobilisation, repatriation, resettlement and reintegration in Bukavu, responsible for the South Kivu Province of the Congo. He holds an MPA from the John F Kennedy School of Government, Harvard University; an LLB from the University of Montréal; an MSc in international economy and a BAA from the �cole des hautes études commerciales Montréal. The opinions expressed in this article are the author's own and do not purport to represent those of the United Nations or any other organisation. ABSTRACT: When Congolese President Joseph Kabila was inaugurated for a second term on 20 December 2011 the fallout from the 28 November elections in the Democratic Republic of the Congo (DRC) was �situation normal: continued instability'. After Kabila's main opponent, Etienne Tshisekedi, �swore himself in' on 23 December (Tshisekedi website), there were two men claiming to be president and several other candidates demanding a new ballot. The 2006 elections, the DRC's first since the Global and Inclusive Agreement (Dialogue Inter-Congolais 2002), were shambolic, but clearly legitimate (UN 2007, Carter Center 2006a, b, c). This was partly due to the fact that the United Nations Organization Mission in the Democratic Republic of the Congo (Monuc) had a stronger presence than its successor, the United Nations Organization Stabilization Mission in the Democratic Republic of the Congo (Monusco). There was also more international attention in 2006, including an EU rapid reaction force. However, many of the issues in the 2011 election - violence, logistical problems and irregularities - were present in the previous one (see, eg, UN 2006; Carter Center 2006a, b, c). There was possibly as much international financial and logistical support as there had been in 2006. There were fewer international observers but more local ones. The main differences relate to context, the structure of international assistance and the lack of a second presidential round. The crisis had been years in the making. More important than diminished engagement in the mechanics of the election was the international community's sham attention to governance in sub-Saharan Africa and the culture of impunity it has encouraged. The West, unlike China, has failed to appreciate the strategic importance of the DRC. By encouraging regional dictators instead of enthusiastically supporting the rule of law early and often, it tacitly encouraged bad behaviour. ABSTRACT: The May 2012 general elections in Lesotho were held in the best political climate since democracy returned to the country in 1993. Even the minor disputes that surfaced were resolved speedily before they could graduate into serious election-related conflict. The elections were historic in that the results were not disputed. In addition, for the first time in the country's history the elections failed to produce a clear winner, hence the formation of a coalition government. The elections also resulted in a change of leadership, bringing to an end Pakalitha Mosisili's 14-year rule. The article contends that the peaceful conduct of the elections was the result of the amendments made to the country's electoral laws and the preparedness of the Independent Electoral Commission. It goes further to show how the Democratic Congress, the party with a relative majority of parliamentary seats, came to be omitted from the coalition government and was relegated to the opposition. All these, the article argues, are positive developments in the country's move towards democratic consolidation. ABSTRACT: In March 2012 Abdoulaye Wade was defeated by Macky Sall in the hotly contested presidential elections in Senegal. This article uses the concept of party-voter linkage to examine how and why Wade and his party, the Parti Démocratique Sénégalais (PDS), lost touch with the electorate. It is argued that this failure must be viewed within the context of a complex process of social change that challenged traditional, often clientelistic, forms of linkage. As an alternative strategy, the PDS emphasised the personal charisma of its leader. Charismatic linkage, however, is naturally unstable, and the PDS began to lose public support. These findings suggest that political parties in Senegal cannot build their strategies on clientelism and charisma alone, they will have to begin to compete over issues and develop programmatic visions. If this challenge is not taken up, the long-term prospects for democratic representation and effective linkage are uncertain. ABSTRACT: The article probes party institutionalisation in Mozambique and argues that only three of the more than 50 registered political parties there are �effective', namely Frelimo, which is highly institutionalised; Renamo, which is collapsing organisationally yet has a high level of social rootedness; and an institutionalising MDM. The article concludes that although the opposition parties are partly to blame for their misfortunes, the nature of Frelimo's relationship with society bears the main responsibility for the impoverishment of the opposition parties because it makes it difficult for opposition parties to break in and challenge its control over the state. ABSTRACT: This article examines a perennial factor in Kenyan politics, that of communal identity, and how it was mobilised in the context of the March 2013 elections. Using survey data it tracks attitudes regarding a unique feature of these elections: the (still-expected, if bitterly challenged) International Criminal Court (ICC) cases of Uhuru Kenyatta and William Ruto, of the Kikuyu and Kalenjin communities, respectively, for their alleged roles in the widespread violence that followed the disputed 2007 election. Remarkably, notwithstanding this ethnic divide at the time, their �defendant' status provided, first, the personal, and subsequently, the communal foundation for their political union and ultimate triumph over then prime minister Raila Odinga, becoming Kenya's new president and deputy-president, respectively. In exploring this success, the paper uses nationally-random survey data which also reveal the degree to which Kenyans became increasingly polarised as the elections drew nearer. In addition, qualitative material from media coverage and personal interviews suggests just how such polarisation occurred. The conclusion raises several questions about the way various possible scenarios involving the ICC issue could yet reconfigure the ethnic alliances evidenced in this recent and controversial election, and about the salience of ethnic identity in Kenya's electoral politics more generally. INTRODUCTION: In the first post-independence constitutional referendum, held in February 2000, fewer than half the country's registered voters participated. The outcome of that referendum was that about 54% of voters voted against the draft constitution while 45% voted for it. The referendum proved to be a major watershed in Zimbabwean politics, partly because it signalled a decade-long slide into authoritarianism. It would take more than another decade for political parties to negotiate a fresh draft. Relatively speaking, the 2013 referendum, held on 16 March, was, therefore, more successful in engendering greater participation and generating a positive result. An estimated 60% of the electorate participated, with an overwhelming 93% endorsing the draft constitution. What explains the upsurge in levels of voter participation in 2013 compared to 2000, and the different outcomes? Does the 2013 outcome signify a significant shift towards reform in Zimbabwean politics? These are the salient issues that this briefing seeks to address. The briefing begins with a presentation of the highlights of the referendum results then chronicles the constitution-making process itself, reflecting on the key provisions contained in the draft. This forms the background for the reflections on whether these processes and the outcome signify a trend towards reform rather than a continuation of authoritarian politics.